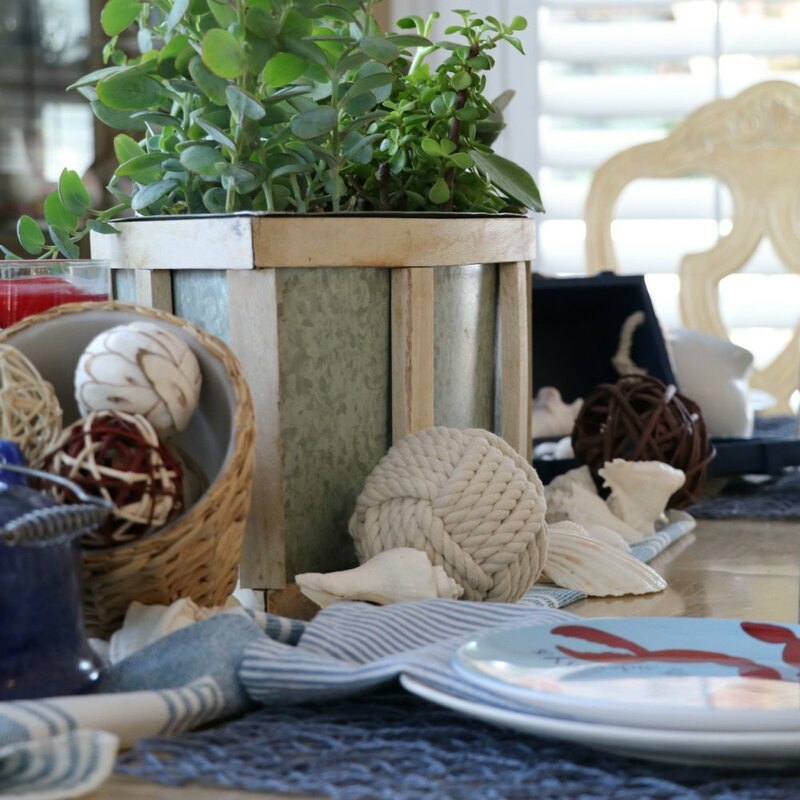 Call it being lazy, creative, or practical but simply by adding some nautical touches to your 4th of July decor you can easily leave them up all month long. I discovered this a few years back but this year I’m embracing it full swing. I’ll be honest here (which I usually am), since I threw my fun “Squeeze the Day” Citrus theme summer party (and I promise I am planning to post all the super duper fun details next week) just one week before the 4th of July I didn’t pull out any of my decorations or thoughts for celebrating this fun day until July 1st. 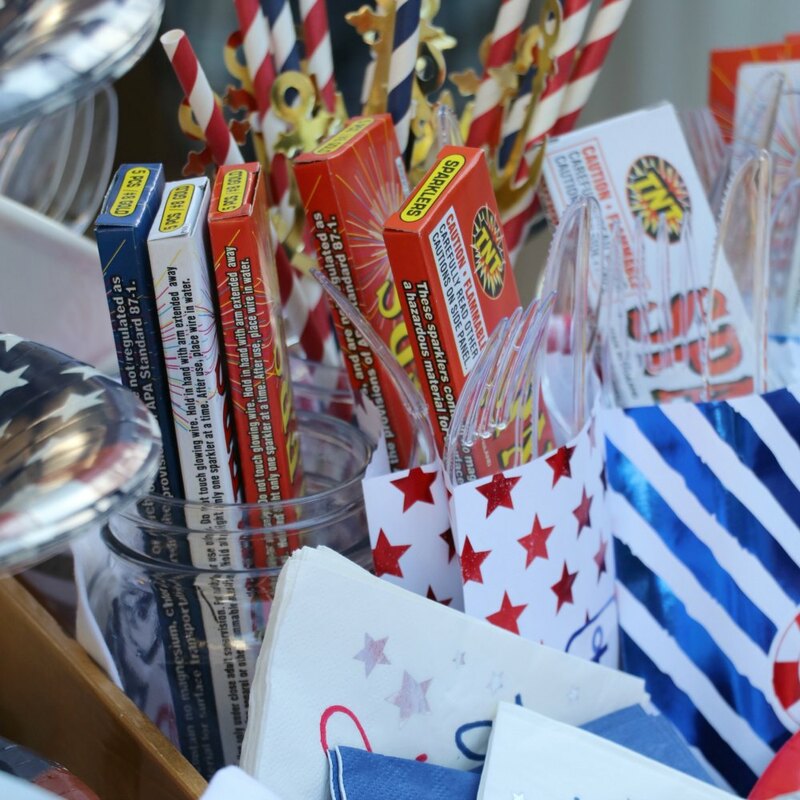 After bringing my home from citrus to RED-WHITE-AND-BLUE I knew I needed to somehow keep it up for at least a few weeks, I mean I only have so much creative and decorating energy, right??? 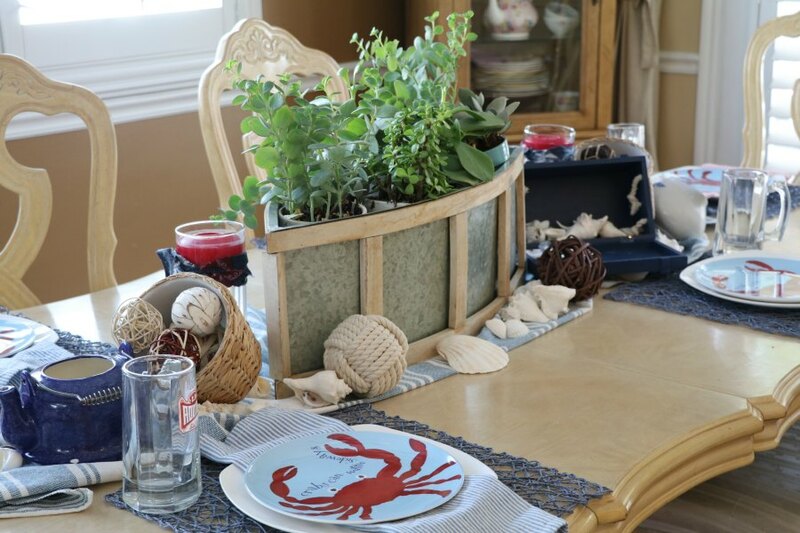 And the easiest way make this work is to just add some nautical items here and there. 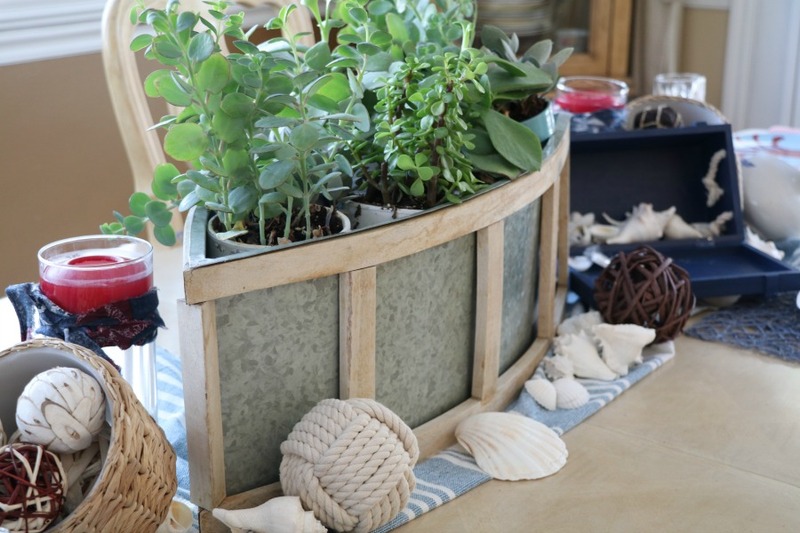 I brought in my tin boat cooler and used it as a center piece by filling it with succulents, popped in a few sea shells here and there, braided balls and some cute crab plates (found at pottery barn kids). The root beer mugs get my family and guest excited for just about every meal (when I decided to cook now days). I’ve also discovered you can add the nautical to your attire as well. 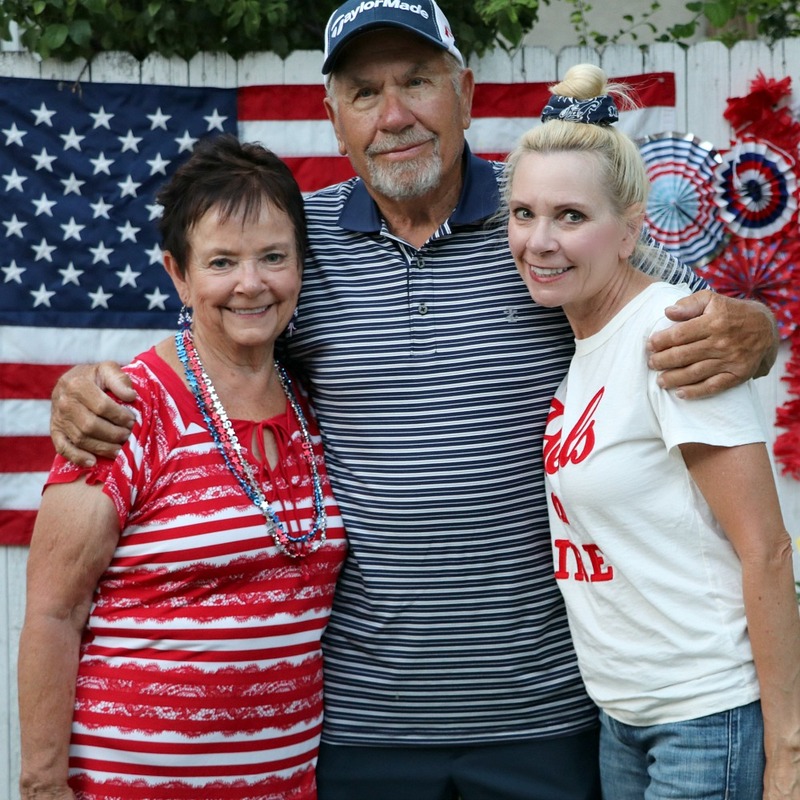 And for those of you wanting to see how I pulled off our 4th of July celebration this year, it was as always family friendly and easy going. 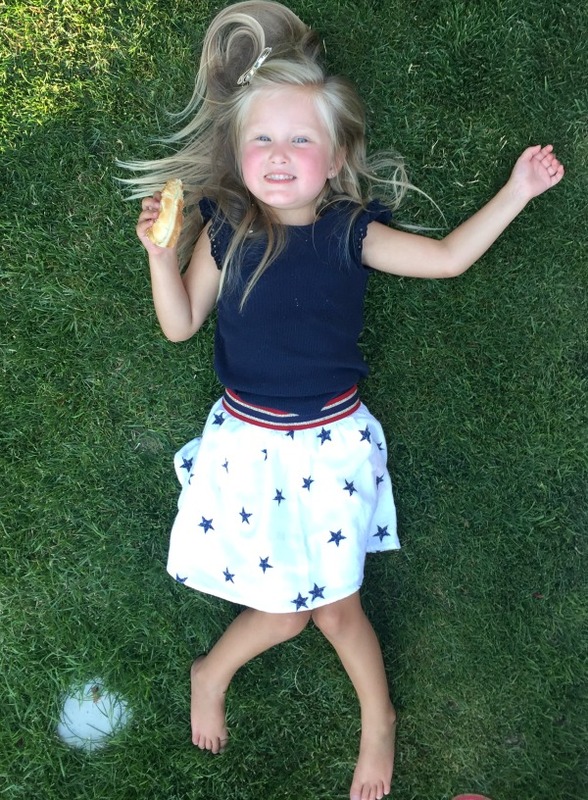 We stick true to backyard celebrating with some swimming before hand and then traditional hamburger and hotdog grilling. 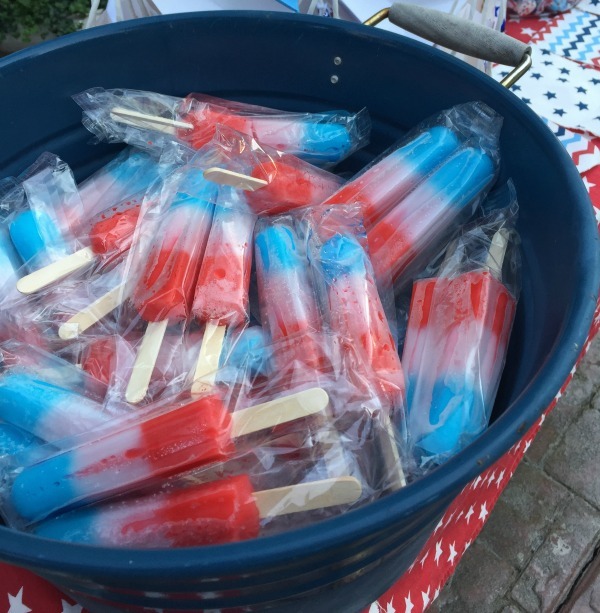 I kept it easy on my part with only having to make my homemade potato salad and even providing store bought popsicles for treats. 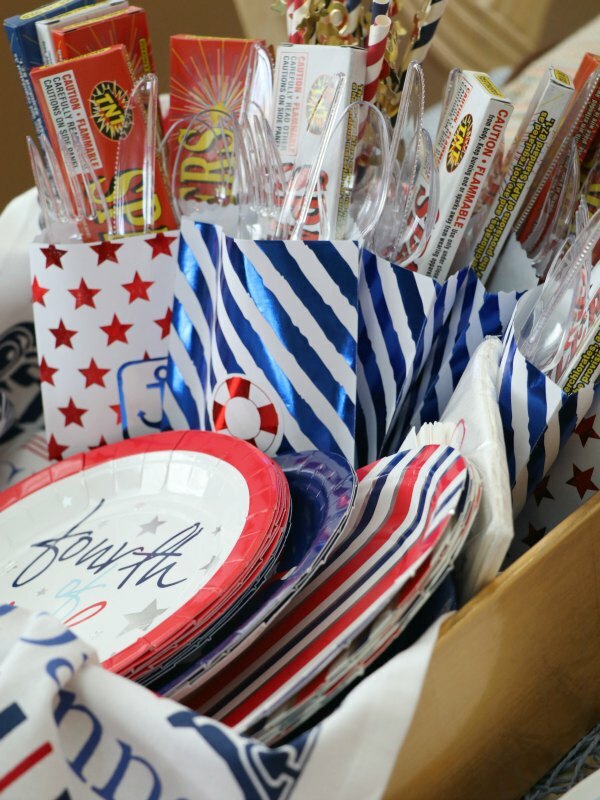 Adding a fun bit of decor by placing utensils in a ready to grab gift bags with straws, napkins and sparklers in tack. Tori helped me quickly provide a fun backdrop celebration banner, which made for fun pictures. 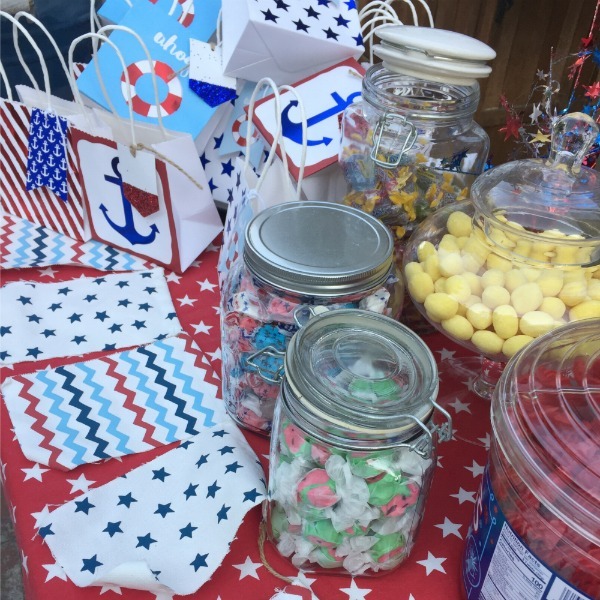 I always like to send my guest off to fireworks with treats and this year I provided little (nautical) treat bags and a candy bar. 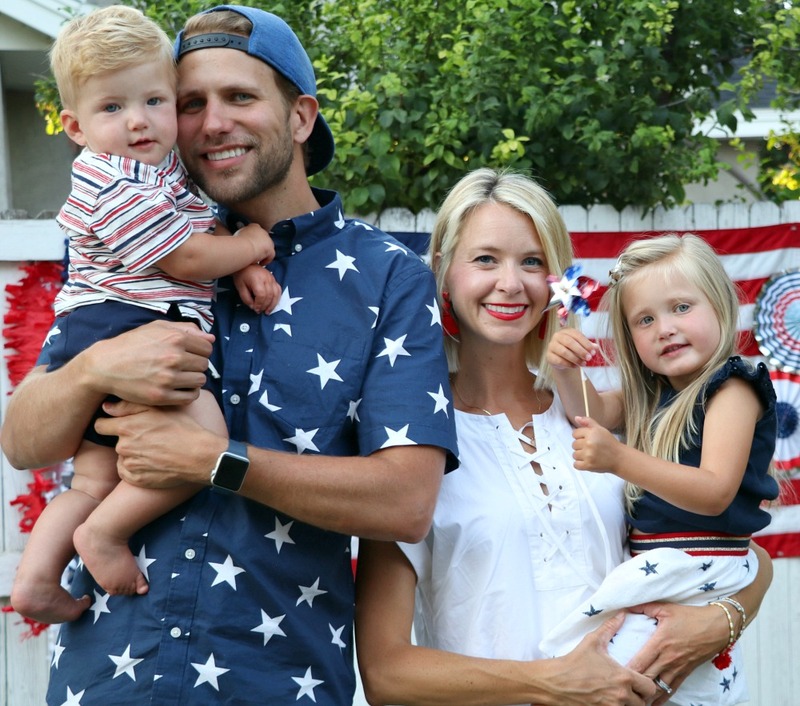 I was once again reminded that what matters most about a celebration is just having friends and family together. 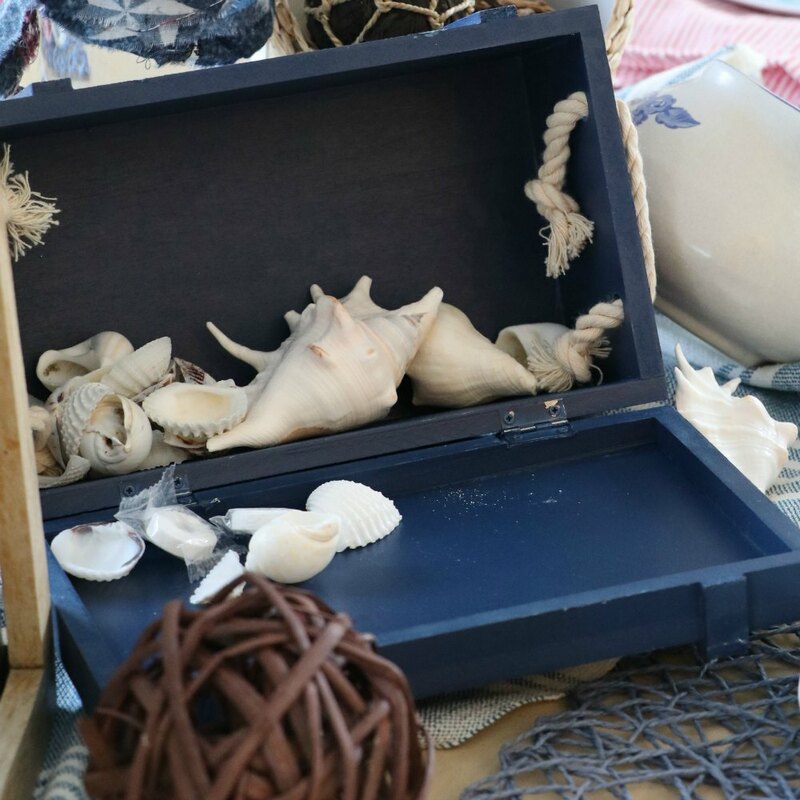 As for now I’m just sitting back and relaxing with some nautical decor until the next spark of creativity comes to mind (yes, I got some ideas stirring). Have a most wonderful weekend my friends. 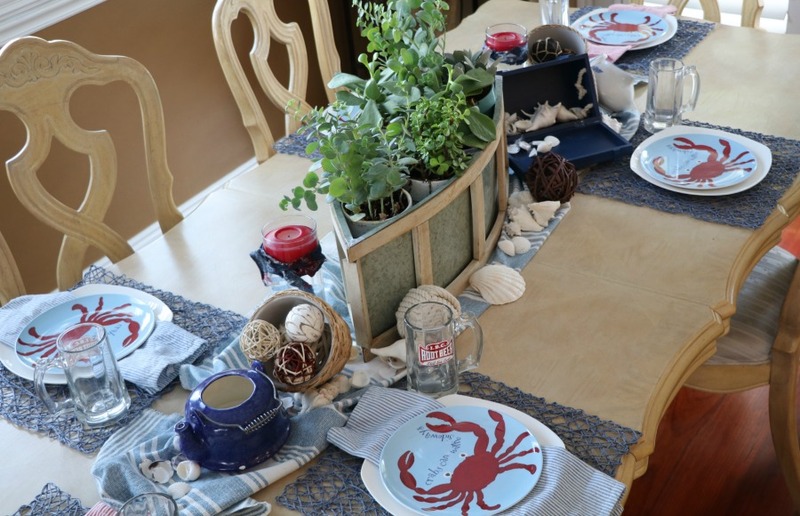 Linking up with Catherine @notdressedaslamb and her fun #thesaturdayshare link up. « WHAT’S THE EASIEST WAY TO BRIGHTENS SOMEONES DAY? choreograph every thing is spectacular. 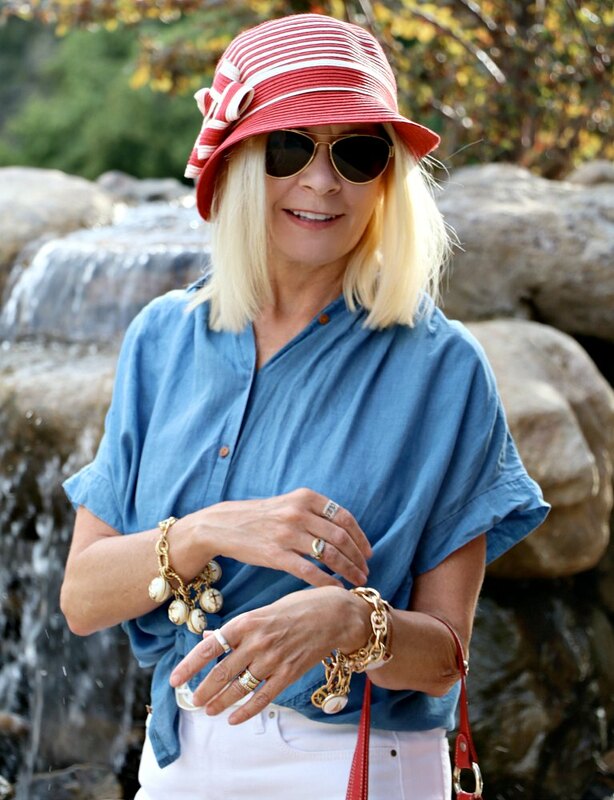 Love your outfits and accessories. Thanks for sharing all this wonderful creativity. Thank you for being such a great and loyal follower, I sure enjoy hearing from you. Lovely, absolutely lovely. What? Everything my dear. 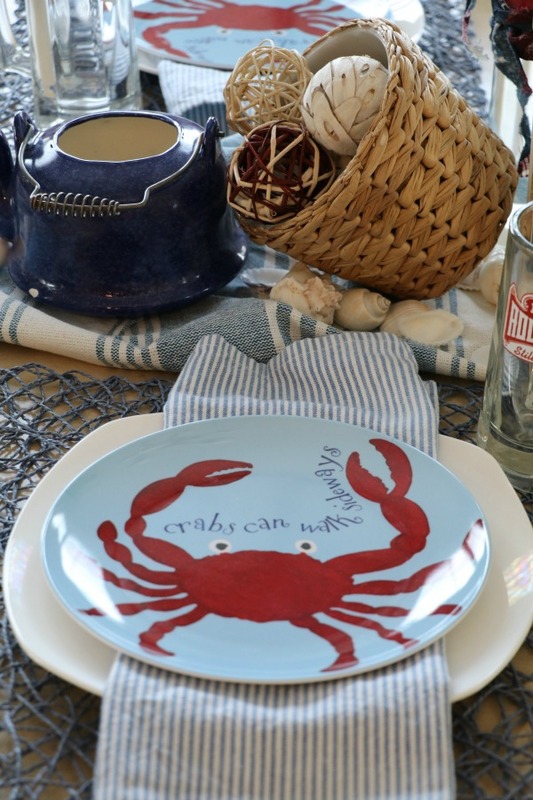 I laughed when I read: “I only have so much creative and decorating energy, right?? ?” Hahaha. What you describe as an easy throw-together would have taken me a month. Believ me you are good. Seeing your lovely family I can understand you feel blessed: so warm, so loving. I miss Parr in the pictures. Internet shy? I realized after I posted this that Par wasn’t in any of the photos. He’s not shy at all, haha. Actually he was playing photographer most of the evening so you know what happens when you’re the one behind the lens, I need to remember this. Glad I finally gave you something to laugh about.